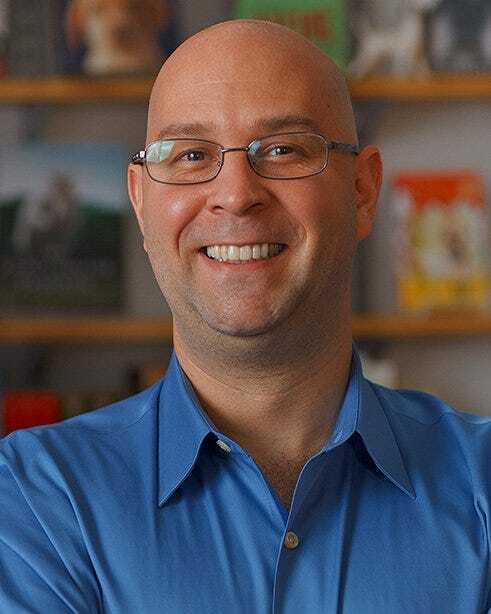 Scott Hoffman is an agent at Folio Literary Management, representing some of the preeminent authors on bookstore shelves today.He comes from a varied background, having formerly run a lobbying firm in Washington, DC and transitioning out by getting an MBA in finance. He quickly realised it was a lifestyle he didn’t want. Since it’s quite literally his business to keep his finger on the pulse of the book world, anticipating trends and reacting to changes, we fired a few questions his way about the future of books. BUSINESS INSIDER: For the normals, what exactly does a literary agent do? SCOTT HOFFMAN: The same way that actors, actresses, and athletes have agents, most authors do as well. It’s an agent’s job to manage an author’s career and ensure that he or she is fairly compensated for work produced. In practice, this includes negotiating deals with publishing houses both in the US and all over the world; making sure that other rights in an author’s books (audio, film and TV, etc.) are exploited to the greatest extent possible, and that publishers and other rights holders live up to their contractual obligations. Basically, we’re in the artist management business. In general, the kind of skills a person needs to sit in a closet for a year and write a beautiful novel, or to research and write an important nonfiction book are generally not the same skills that are necessary to maximise the economic value of intellectual property — and that’s where we come in. BI: How is your job different today from how it would’ve been 10 years ago? SH: For one thing, there’s a LOT less paper involved. Every agency has its collection of unsolicited submissions – the proverbial “slush pile” – where query letters from unpublished writers trying to convince the agency to represent them go. 10 years ago, it really was a pile — and in some cases, a mountain. Now, we handle all unsolicited subscriptions electronically, which makes for a much neater (and more environmentally-friendly) office environment. More than that, though, the same forces that have transformed the slush pile have transformed the entire industry. Technology allows more authors to connect directly with their audience, and the rise of the independent model means that Big Publishing — the collection of agents, publishing houses, and traditional retailers — is no longer the gatekeeper it once was. In general, I think that’s a good thing. The only way to make money in the publishing business in the long term (or in any business, really) is to give consumers what they want at a price they want at a time and a place of their choosing. Traditional publishing is, by definition, a mass medium — the entire business model is predicated on lots of people wanting to read the same book(s) at more or less the same time. That model is never going to go away— and the authors who achieve success in that fashion will be more successful than ever, for a few reasons. First, as the world gets richer, more people will buy books. The rise of the middle class in places like Korea, Brazil, and Taiwan means that more wealth is available to consume entertainment and information in the form of the written word (whether those words are printed on papyrus or displayed on an electronic screen, or delivered in a manner we can’t even conceive of at the moment.) Second, when consumers find a product they like, it’s much easier for them to communicate the value to their tribe — which means that a book can achieve success much more quickly now than ever before. In addition, the disintermediation of the gatekeepers allows the producers of content to succeed with the kinds of books that The Establishment never would have seen coming. Markets are a much more efficient way of determining what people actually want than a de facto committee made up of a bunch of people who all go to the same cocktail parties in Manhattan and Brooklyn (however smart we may be.) It also allows for books that occupy small niches to succeed in a small way, which is undoubtedly a good thing as well. Random House is never going to publish a book on how to repair your horse’s hoof — but if you need to know, you’re probably willing to pay a premium — and the person who does know, is going to be happy to tell you, for a small fee. Both parties are much better off. BI: Does the signal-to-noise ratio of the internet make it easier or harder to find new talent? SH: Both. Even before the rise of the internet, an agency like ours would be contacted by tens of thousands of people a year wanting representation. Those numbers have gone up dramatically, but the ease in dealing with each submission has also increased. And, of course, with the independent model, hundreds of millions of consumers all over the world act as talent scouts, voting with their dollars, 99 cents at a time. A lot of agents and publishers are finding writers who have been, in effect, pre-qualified by readers all over the world. BI: Is a personal blog an asset or a potential liability for an author you’re looking at? SH: It’s more likely to be an asset than a liability. Agents and publishers love writers who come to the table with their own audience. And given the mega-success in the traditional publishing world of authors whose blogs are, let’s say, quite polarising (take Tucker Max, for instance), with large traffic blog content would have to be very, very far from the mainstream to turn publishers off. BI: Is it pretty much a no-brainer to release a digital version of a book alongside a physical version? Are there any circumstances where you wouldn’t want to do this? SH: I would say so. I can think of several cases in which it might make sense to publish a book in electronic-only format, though — particularly if the audience is a niche audience. The only time I can really think of where it would make sense to do a physical version and no electronic version is a case in which a book is highly illustrated, heavily designed, or photo-dependent, in which case the experience on e-ink devices might detract from the purpose of the work. In that case, though, it’s probably still possible to put together a tablet version of the manuscript that would achieve the original intent of the book. BI: Are e-books ultimately good or bad for the publishing industry? Somewhere in between? SH: It depends what you consider “the publishing industry.” If you’re a printer, they’re unquestionably bad news for you. If you’re primarily a print retailer (remember Borders?) you could already be out of business. For authors, agents, and publishing houses, it depends where you are along the value chain. Physical sales and distribution remain important, and probably will be in the short to medium term. Lots of people still go to actual bookstores to buy books. More still buy books at places like Walmart and Target. I think Bill Gates had it right when he suggested that we always overestimate the impact technology will have on any business model in the next two years but vastly underestimate the impact it will have in a decade. In the long run, I think that traditional publishers have the ability to differentiate themselves in three main ways; first, they can serve as aggregators of all the services that authors need to effectively publish a book — editorial and design, and to a certain smaller extent, publicity and marketing. Second, with better access to capital, they can serve as financiers to authors as well as risk mitigators — a very valuable service. Finally, in the medium term, I think that publishers can maintain enough market power to keep retailers from driving costs down to the point where authors and other content creators will choose to spend their time on other things, thereby ensuring a greater diversity of intellectual property for consumers to enjoy. BI: What’s the future of books, physical and otherwise? SH: Anyone who suggests that books are dead is lying. Human beings now consume more information and entertainment in the form of the written word than they ever have at any other time in human history. A hundred years ago, if you had been conducting this interview for a newspaper, we probably would have done it face-to-face. 50 years ago, we might have done it on the telephone. Now we can do it by email — and we could have done it just as easily by chat or by text message, I suppose. And as long as people still find value in reading, writers will make money. They might not make it by selling their ideas on paper, and they might not even make it by selling their content directly to consumers. But guys like me will always figure out a way that good writers can get paid. For a small percentage, of course. The other answer to this question is “Data, data, data.” For example, over the past hundred years, publishers have agonized over whether to choose one cover over another for a given book. In the digital world, you can have both. Not only that, but you can have 100 if you’d like, and if you can afford the designers. Then you can A/B test those covers over millions of consumers to see which ones lead to more sales — and segment to silly levels — 46 year old female who lives in zip code 10009 gets this cover, someone else gets that one. The ability to connect producers of content with the consumers of that content is really exciting, and will ultimately lead to very good things.